Crews were on the scene of a rush hour crash along Interstate 95 on Monday evening. 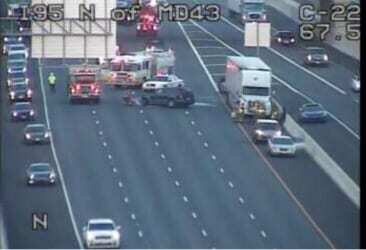 At about 6 p.m., emergency personnel responded to an accident along southbound I-95 just prior to the White Marsh Boulevard exit. All southbound lanes of I-95 have been shut down so highway crews can clear the accident.